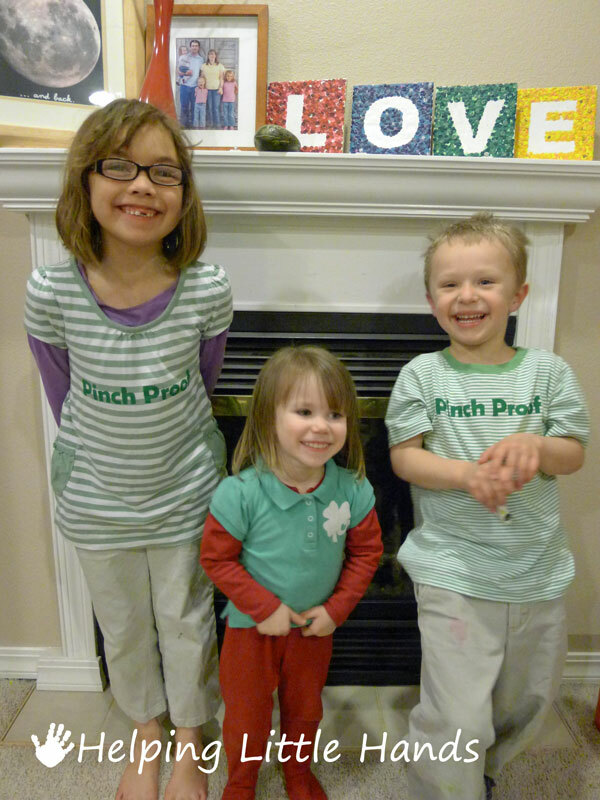 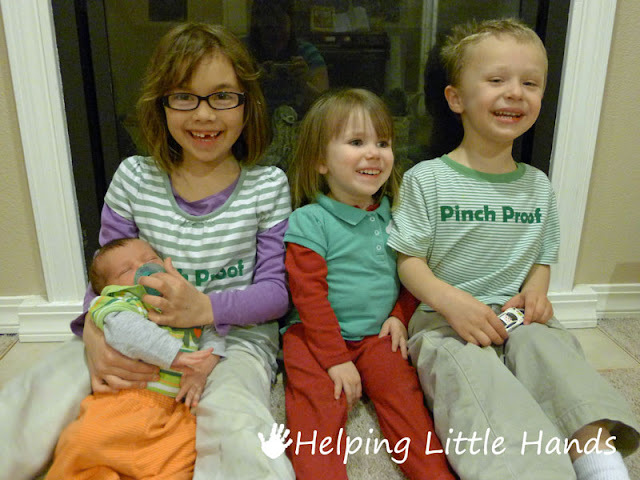 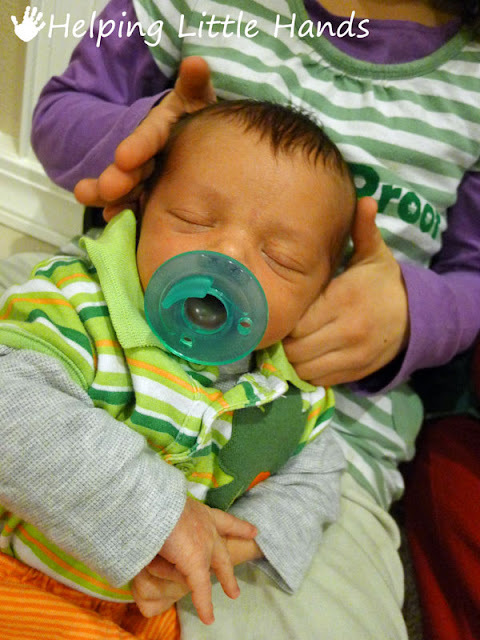 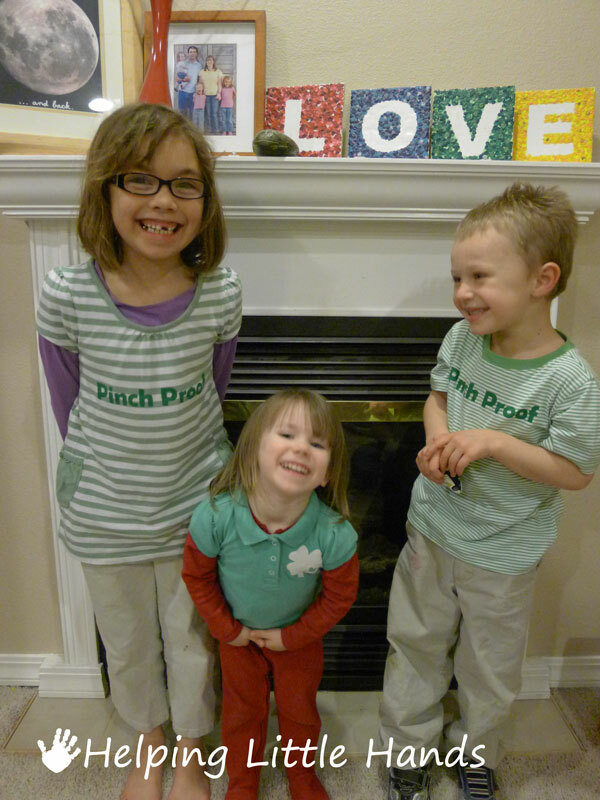 I meant to post these yesterday...but we didn't get them all wearing green until right before bedtime. 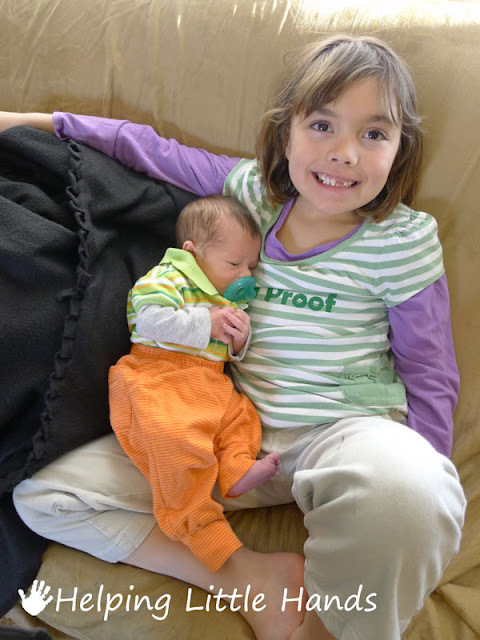 Becca wanted to wear those red foot pajamas all day and wouldn't put on her green shirt (which she'd been dying to wear every other time she saw it during the week.) I don't know why I didn't think of putting it on over the pajamas sooner. 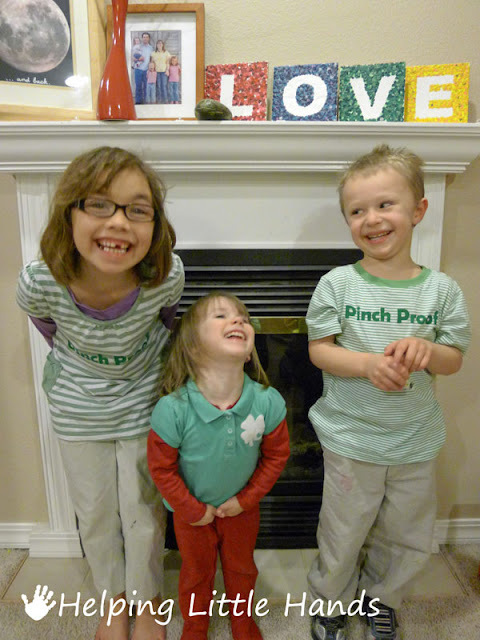 Anyway, here are a few fun pictures of our little leprechauns. You can see more about how I made their shirts here.